Soda can taste good and fizzy, especially after a hot day outside. And it can seem refreshing as well, and it might appear to satisfy your thirst. However, soda often proves to be unhealthy for your health, in more ways than one. For instance, soda can mess with your kidneys, increase your risk to diabetes, dehydrate you, lead to cancer and other vascular issues, has too many calories, has so much sodium that it will eventually result in your body retaining fluid, increases heart disease in men, mess with your metabolism, and wear away at your enamel in your teeth. It’s good to have a soda on occasion, just keep it in moderation. It’s when you have soda on more occasions than normal that you run into trouble with soda. With its high sugar, caffeine, and sodium content, it can be so taxing on your body’s organs it can lead to all sorts of diseases and health complications. Those are some of the problems that can happen if you drink too much soda, so save soda for an occasional good treat. Stick with water if you want to rehydrate yourself. And don’t limit yourself to just soda for your treats during special occasions, you can choose other fruit juices or other low acid drinks; that way, there would be less damage then there would be if you drank a can of soda. Too much sugar and sodium can mess with your kidneys and can gradually lead your kidneys to a horrible decline. Soda has so much sugar, it can put a lot of stress on your pancreas, give you resistance to insulin, and lead you to diabetes as a result. Having too much soda is going to change a lot of stuff in your body and insulin resistance is just one of those changes. Soda may feel like it is refreshing to you and it may seem to satisfy your thirst. But soda is, in fact, dehydrating you. 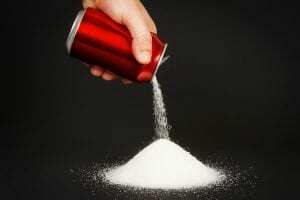 Soda dehydrates you due to its high caffeine content. It does not satisfy your thirst at all, and it is not refreshing at all. It is a diuretic, which causes you to urinate more frequently, and makes it harder to absorb the nutrients that your body needs to function healthily. Caramel coloring had caused lung, liver, or thyroid cancer or leukemia during government-conducted testing on mice and rats. Caramel coloring also contributes to vascular issues, mainly it damages the blood vessels in your heart and brain. Caramel coloring could also be a contributing factor in a stroke as well, especially since it does contribute to blood vessel damage. One can of a soda has around 149 calories a can. Drinking more than one can accumulate calories, and the number could be the number of a midday snack or a full course meal. Also, you need to fill your diet with necessary food for yourself and your body to maintain good health, anyways, so you really can’t fill your calorie limit with empty calories from soda. Besides, soda is unhealthy to drink it all the time. And when you have too much sodium, you get too much blood pressure due to excess fluid from sodium. Soda will raise your chances of getting a stroke, heart failure, osteoporosis, stomach cancer, and kidney disease if you’re not careful with the amount of sodium you drink from it. Excess fluid in the body isn’t good because it won’t have a way to get out of your system because you would then have too much fluid to filter out. Soda has an effect on men the most when it comes to heart disease since it raises their risk of heart disease by 20 percent. This is because when your insulin becomes resistant to sugar, your body can no longer metabolize sweet food. Also, no oxygen will be carried to your heart so that it can work healthily. 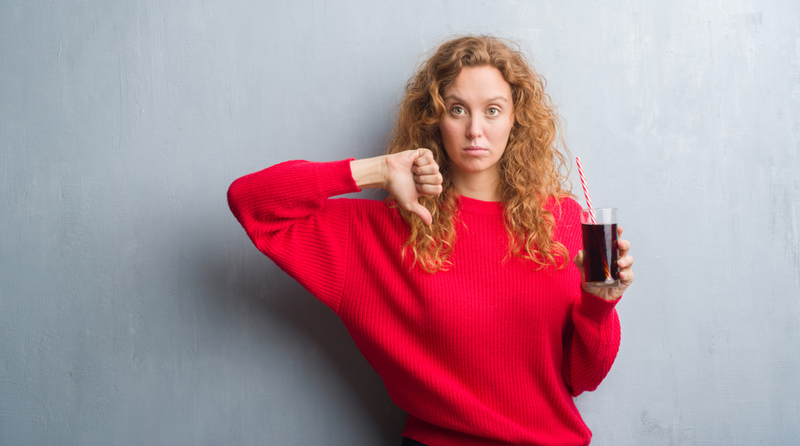 Soda has so much sugar, it can be enough to mess with your metabolism by making it that you have resistance to insulin and gain weight as a result. When your metabolism can’t deal with sugar, it also won’t be able to convert it into energy. Soon, the unconverted sugar would build up and spill into the urine, which explains the increased urine and unexplained weight loss symptoms in diabetes. The built up, unconverted sugar can also spill over into your blood sugar and give you a high blood sugar level as a result. Since soda has a pH level of 2.5 in acidity (With a car battery as a pH of 1 and Water with a pH of 7), it can wear away at your enamel given enough time. Given the acidity in soda, maybe you should look at other drinks to satisfy your thirst if you want to treat yourself, like milk or herbal tea. Even plain water is great for your health, and it has little acid to it as well. Overall, Soda is left for a treat on occasion and should be taken in moderation. If you are thirsty, you are better off with water most of the time. And some other times, stick with low acid drinks. Just as long as you don’t take soda as an option to satisfy your thirst each time you get thirsty, then you’ll be all right as long as you drink soda in moderation. Be aware of the calories and sugar content in soda and be aware of what gets accumulated when you drink however many ounces you drink from your cans of soda in any given day. And brush your teeth after drinking soda so that the enamel doesn’t wear out too much on your teeth.